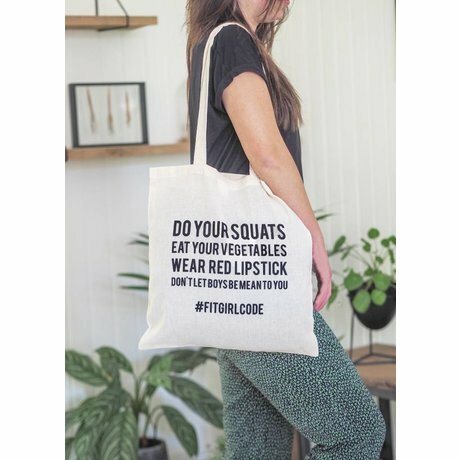 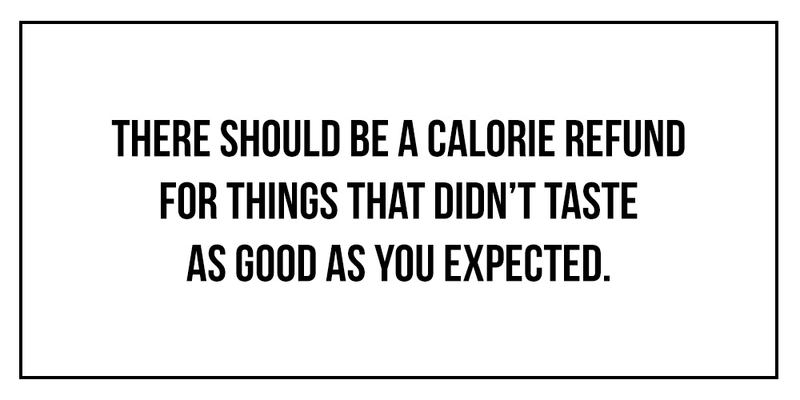 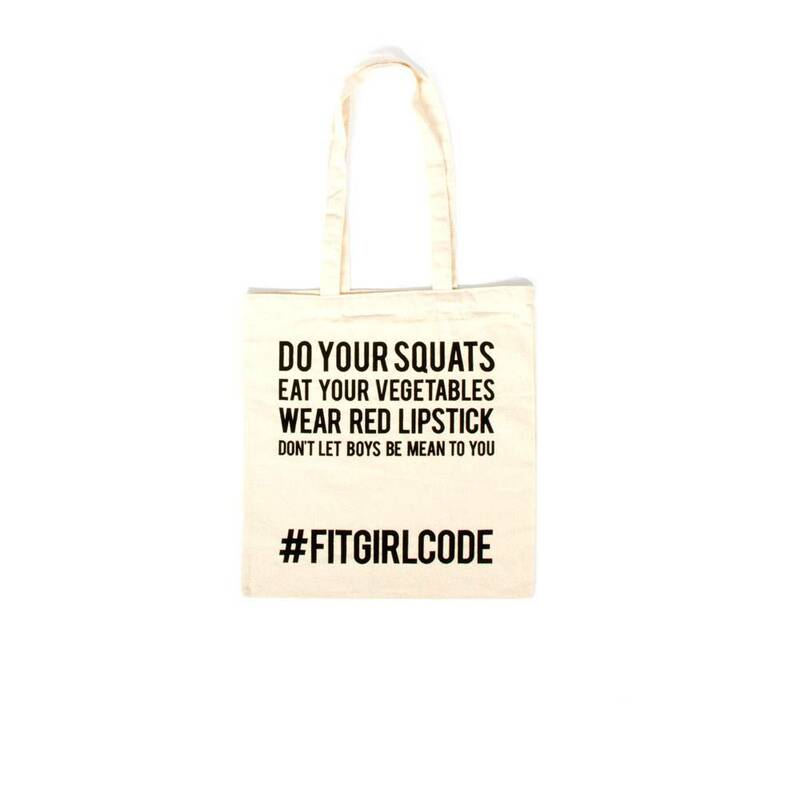 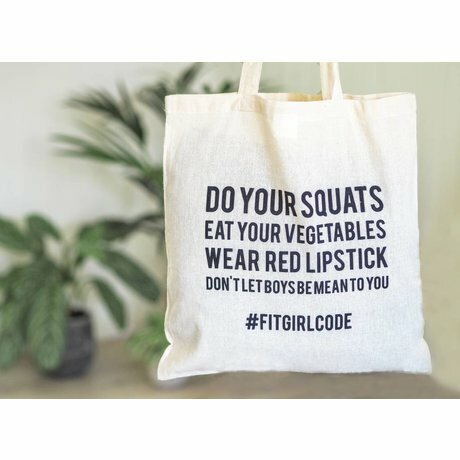 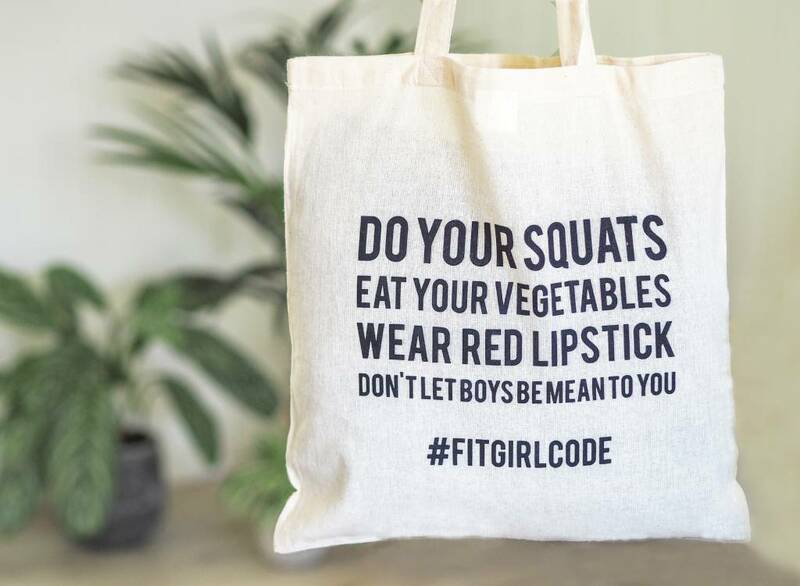 The #FITGIRLCODE tote bag is back with our favorite quote! 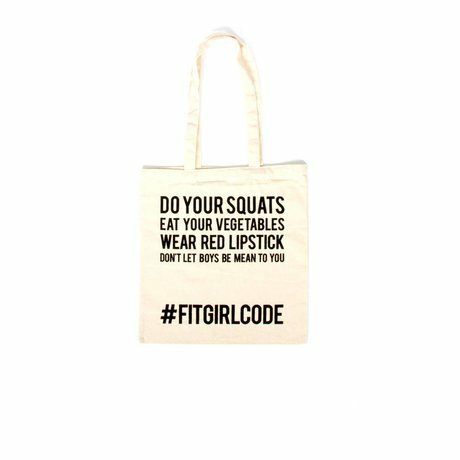 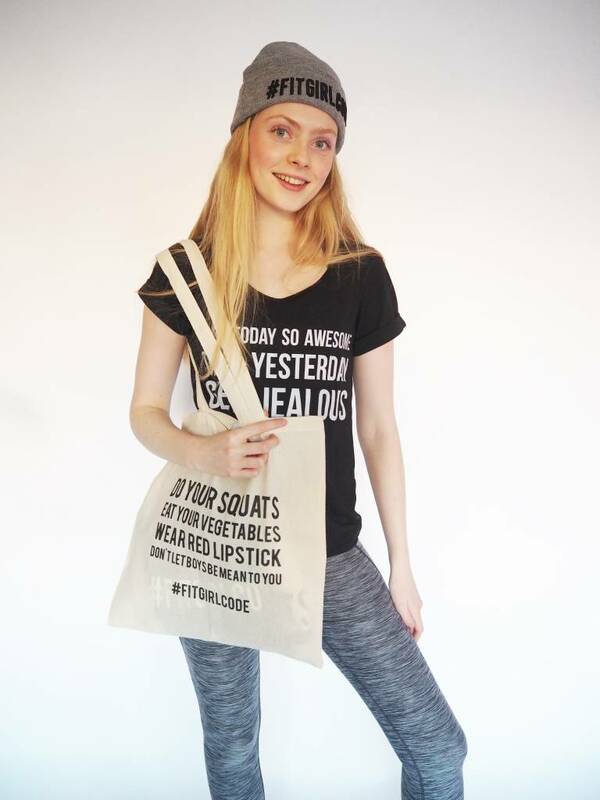 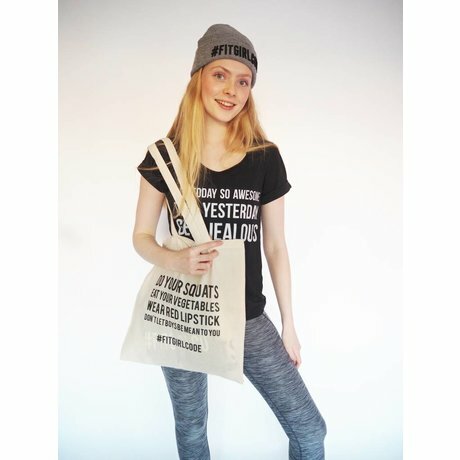 Use the tote bag for your workout gear of daily groceries. 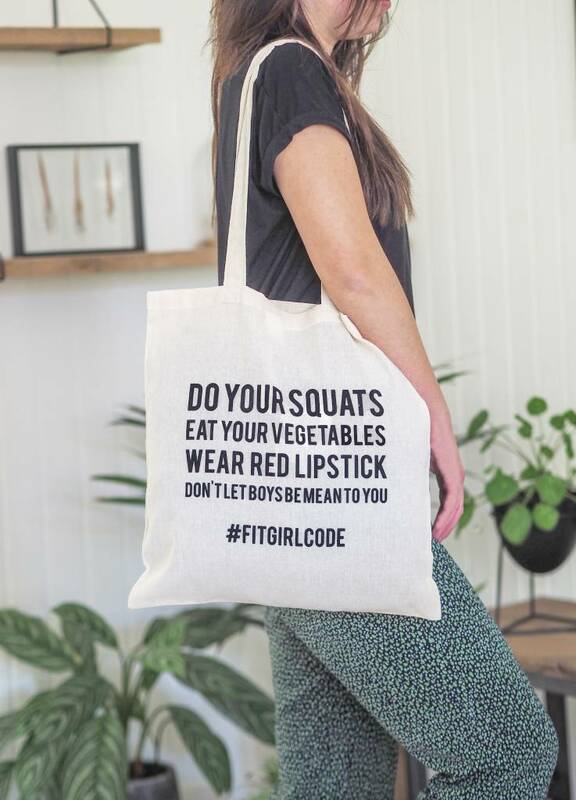 It is firm enough and made of 100% cotton.